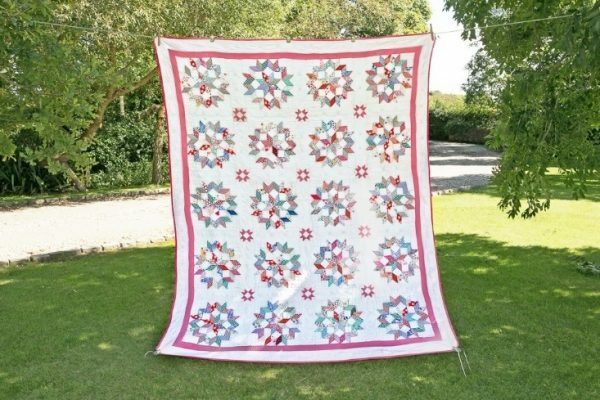 Outstanding American 1930s Carpenter’s Wheel antique quilt in excellent condition. 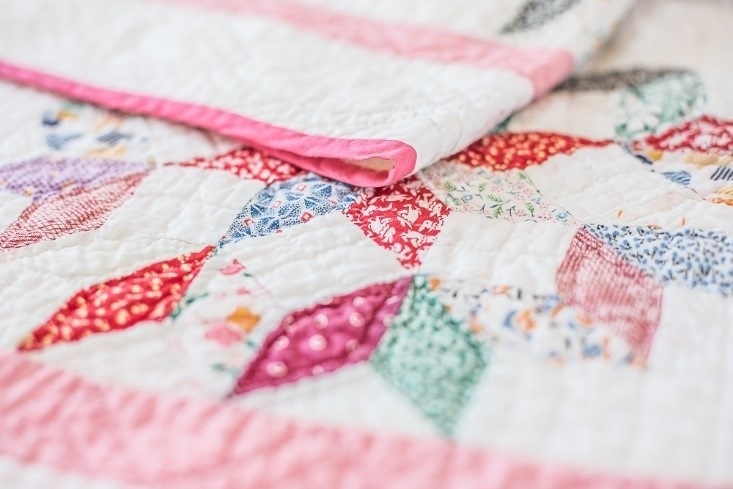 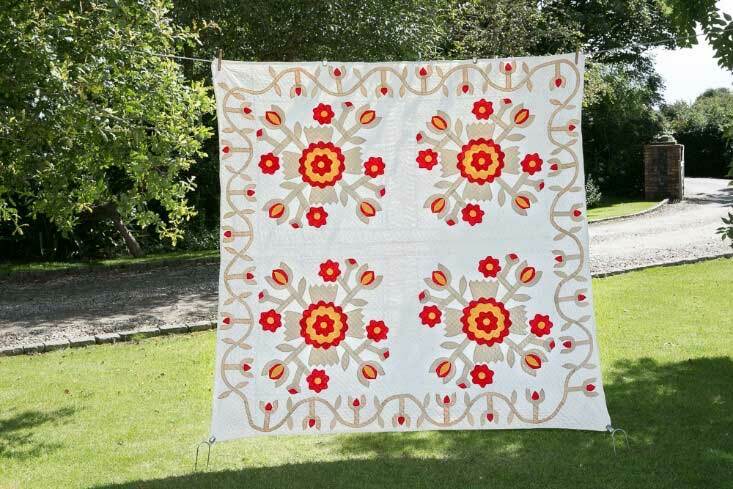 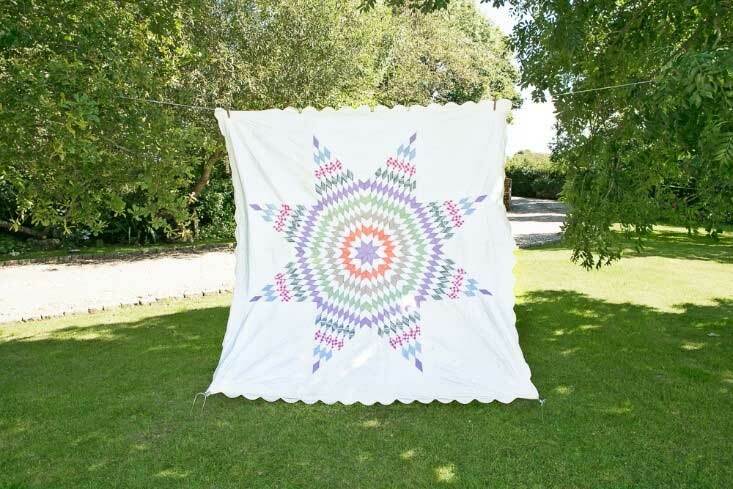 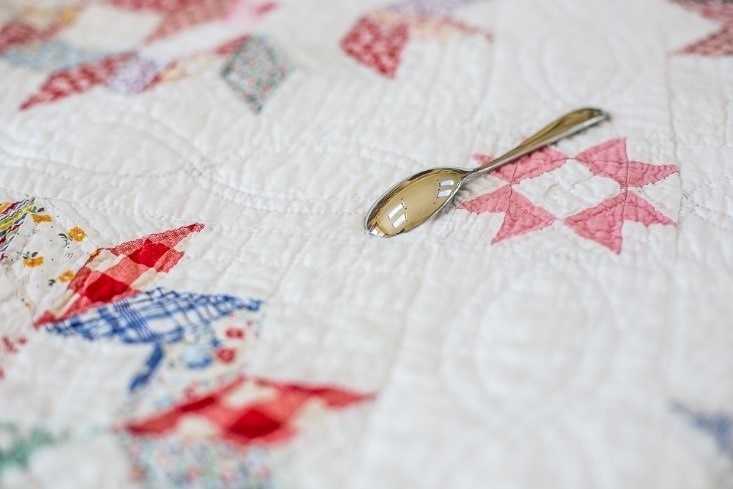 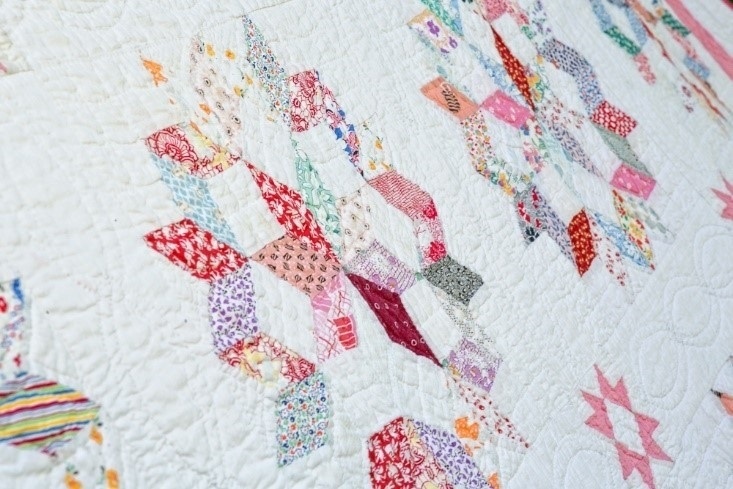 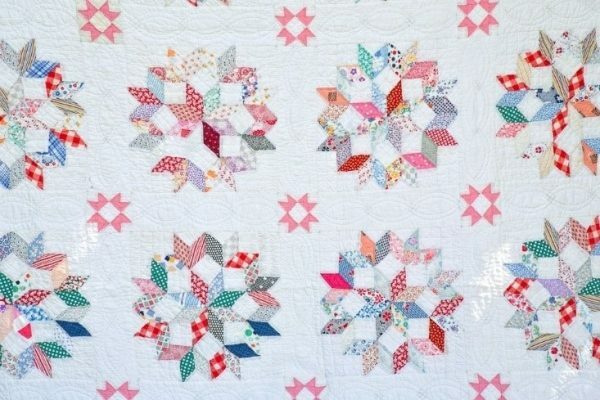 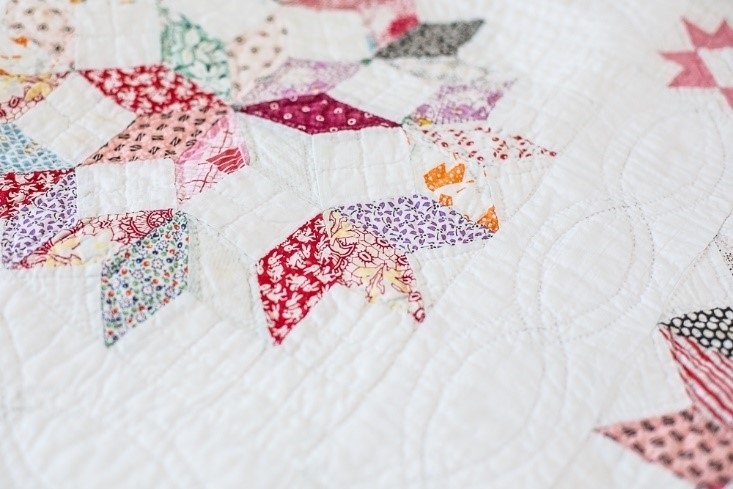 Hand pieced and hand quilted with unusual miniature stars in the background, quilting around the piecework and in straight-line, grid, cable and zigzag design. 8-9 stiches per inch. 72 x 86 inches/ 183 x 218.5 cm.